Gov. Nasir El-Rufai of Kaduna state has announced the selection of Dr Hadiza Balarabe as his running mate for the 2019 governorship election. 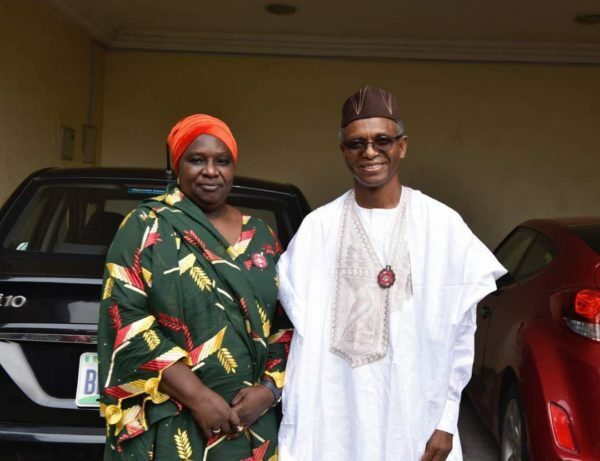 The governor’s spokesperson, Mr Samuel Aruwan, told newsmen on Friday in Kaduna that the choice of Dr Hadiza Balarabe as running mate continued El-Rufai’s deliberate policy of promoting women in his government. “There are five female commissioners in his 14-person cabinet, a feat not attained even by governors that had much larger cabinets. “This is the first time in the history of Kaduna State that a major political party will select a woman as running mate.’’ Aruwan said. The News Agency of Nigeria (NAN) reports that the incumbent Deputy Governor, Mr Barnabas Bala, has opted to go to the National Assembly and has since emerged as the APC’s candidate for the Southern Kaduna senatorial district. Dr Balarabe is the current Executive Secretary of the Kaduna State Primary Health Care Development Agency, a position she has held since Feb. 2016. In that role she has overseen the Kaduna State Government’s programme to revitalise and strengthen primary health care as the core of health service delivery in the state. ”Under her watch, the state is renovating and equipping 255 primary health centres with tools to assist better antenatal services and safer delivery. Prior to joining the Kaduna state government, Balarabe was Director of Public Health in the FCT. She studied Medicine at the University of Maiduguri, and graduated in 1988. She was a Senior Registrar at the Ahmadu Bello University Teaching Hospital before joining the services of the FCT in 2004. Dr. Balarabe was born in 1966 and hails from Sanga local government which is located in the Southern Kaduna senatorial district.